With cooling (okay let’s get real… FREEZING) weather trends, it is easy to spend time in the kitchen in front of the oven making warm soups and stews that nourish the body and soul. Taking time to make a healthy and satisfying soup or stew is a perfect way to stay healthy as colds and flus spread through our city like wildfire. One of my go-to faves is butternut squash soup with coconut milk. Super creamy and ridiculously flavorful, this soup warms the body to the core and leaves the pallet appreciating the burst of flavors with each new bite. – Roast the butternut squash in the oven at 375 degrees Fahrenheit for approximately 45-60 minutes, until it turns golden brown. I like to use Pyrex glass dishes but you can also use cookie sheets with parchment paper. Either way, place the squash with the flesh side down. An optional step is to coat the squash in a small amount of olive oil (or other cooking oil)—this simply adds some extra flavor. – While the butternut is roasting, dice the onion, celery, and apples. Sauté them in the cooking oil until they are browned. – Take the butternut out of the oven and set aside to cool. Once you can handle the squash, scoop the meat out into a blender. Puree the roasted butternut with the can of coconut milk. Set aside a little bit of the coconut milk for the garnish. – Then, add veggie broth and the blended squash mixture to the soup. Add your seasoning and puree the soup with an immersion blender. If you do not have an immersion blender, wait until the soup cools and blend in a regular blender. – Taste the soup and salt to your satisfaction. If the veggie broth is salty enough, you may not need to add any. – Garnish with extra coconut cream, cilantro or parsley, seeds, and/or red pepper flakes. People should focus more on how to BE mindful eaters, and less on how to DO nutrition. With so many approaches to nutrition making headlines, it’s easy to fall into the trap of thinking about nutrition in a compartmentalized way instead of a holistic one. The best approach to nutrition generates consistent clarity and trust in one’s body that supersedes external influences. Most of us do not only eat to fuel our bodies. And that’s okay. Nutrition impacts all parts of your physical health and your life, and is connected with everything you do. Thus, the first step in the process is to create a structure for obtaining and eating food that supports your optimal health. Because structure implies behavior; structure defines why you do the things you do. In other words, don’t buy cookies and ice cream if that’s not what you want to be eating. Instead, load up your refrigerator with fresh & healthy food, and fill your pantry mindfully. You may even consider cleaning out foods that are loaded with sugars… and replace them with healthier alternatives. To support my own healthy behavior, I only buy foods that my higher mind wants me to eat. When I want to indulge in ice cream, for example, I choose my favorite local parlor and savor my treats in the company of friends. With so many experts in the world providing contradicting advice and a multi-billion dollar diet industry influencing your subconscious, you may have stopped listening to the messages and cues coming from your own body. “Listen” may be the very best nutritional advice that’s often ignored. The reality is that your body will tell you if the structure you have set up—including the foods you have chosen to eat and the ways in which you have enjoyed your snacks and meals—is working. At the very least, your body will give you cues for hunger and satiety. Listen. As you know, when you improve your nutrition, you become healthier and your life gets better. But the best approach to nutrition focuses on clearer objectives. Why do you want to improve your nutrition? To be able to run a 5K? Sustain your energy? Lose weight? Gain weight? Fertility? Hormonal balance? Choose one. How are you going to determine whether your approach (or your doctor’s or dietitian’s) is actually making a difference? What signs are you looking for to determine whether or not your plan is working? Try to move beyond the limitations of weighing yourself and, if your relationship with scales triggers negative feelings, focus more on feelings (physical & emotional) and less on numerical values. There are many fads that look back to the way hunters & gatherers ate, and one thing that is often overlooked is that eating is inherently social. If your plan or diet is secretive, too limiting or keeps you isolated from your community, I’ll bet at some point you will start feeding your hungry heart instead of your stomach. To keep your heart full consider the following questions: With whom will you share your approach to nutrition? What are the social outlets that bring joy and pleasure into the mealtime experience? It doesn’t matter how much information you know, or what plan you follow, your mind isn’t powerful enough to set you on track for better nutrition. How can you appeal to your own heart, rather than your head? Food has been a subject of passion across the ages that is rooted in your culture as much as your biology. The best approach to your personal nutrition isn’t actually about food, it’s about love. In France, for example, children are taught the art of appreciating food from an early age. Many schools employ a chef and dietitian, and students enjoy several course plated meals complete with gourmet cheese and silverware. These schools are upholding a deeply rooted French value—that food should be enjoyed & respected and mealtimes should be a time to slow down and savor social connection alongside the flavors. What’s at the heart of it for you? Nutrition is about people, not robots. That is why most diets fail and lead to unwanted weight gain. Embrace your humanity and allow your imperfections & a healthy dose of humor to bust through any and all robotic striving (aka perfection seeking). How will you do that? Only after you know why you care about your nutrition, and how you’ll feel successful when you make changes to improve the way you eat should you turn your attention to the nitty gritty details. Keep your approach simple and #GoDeeper into nutritional facts & trends with a healthy grain of salt. Well, the dark green leafy veggies are in full swing, able to endure the onset of winter weather! Kales, Collards, and Chards galore are piled up in the produce isle all over the northeast and elsewhere for many more months to come. Stir-fries, salads, soups, smoothies…. There’s really nowhere you can’t use this green goodness. Our new favorite… sauces! Did you know you can make a pesto with garden greens using the usual recipe? Adding heartier greens such as kale, collards and/or spinach boosts the benefit exponentially. Dark leafy greens have more vitamins and minerals per calorie than any other food, they’re incredibly iron rich (addressing fatigue), Vitamin K rich (needed for bone health) and surprisingly chock full of Vitamin C.
Now here’s the best part – chopping dark greens for pesto triggers a chemical reaction, activating certain antioxidants and phytominerals that stimulate the body’s own antioxidant response, making this pesto a powerful cancer fighter in particular! So it’s not just what you eat, but also how you prepare it. Coarse chopping breaks down the cell walls and releases the cancer fighting benefit. Mix that with the anti-inflammatory and detoxifying properties of parsley or the blood-cleansing action of cilantro you’ve got a full-spectrum superfood! Place the nuts, garlic, olive oil, lemon juice, salt, and cheese together in the food processor and pulse until the ingredients are chopped but not blended. Add the greens at the end and be sure not to overwork them to maintain maximum nutrition, incredible flavor, and create a gourmet appearance. Don’t have a food processor? No problem. Simply chop the greens and nuts, mince the garlic, add the other ingredients and mash with an old fashioned mortar & pestle or simply mix everything together in a bowl for a rougher consistency. Leave to sit for 20+ minutes to allow the flavors to mingle, and the dark greens to fully activate. Enjoy as a veggie dip, a sauce for pasta or as a marinade for veggies, fish, tofu and more. Beyond the practice of sipping water throughout the day lies a realm of hydration that encompasses the entire body. Soak in water, nix the plastic single use bottles, and practice ancient yogic pranayama techniques that will leave you in tip top shape. To stay hydrated, focus on assimilation rather than quantity. Drink water when you are thirsty and sip instead of chug. If you are drinking too much water at one time, you may find yourself dehydrated despite your efforts. Several trips to the restroom per hour suggest that you need to slow down. After all, our bodies can only assimilate about 2-3 cups of water per hour, or 200 ml (a little less than 1 cup) every 15 minutes. Consuming too much water at one time causes the kidneys to overwork, placing unwanted stress on the body. Once you are sipping instead of chugging, you can go deeper by considering our top Ayurvedic recommendations. Ayurvedic science recommends consuming only room temperature or warm beverages, which means that ice water can become an occasional indulgence rather than a regular practice. Ayurvedic practitioners also suggest consuming little or no water at mealtime. Drinking ice water and taking in too much liquid during mealtimes cools or dilutes our digestive fire (or Agni). Since so much of our health depends on healthy digestion, this is sage advice. That said, we know that leaving ice out of your beverage is not always possible… or desirable. To begin, consider applying the 70-30 rule. If 70% of the time, you are drinking room temperature water or warm tea, you are doing superb! Last but not least, watch out for sugar and caffeine in your bevies! If you are drinking coffee regularly, you may need to sip even more water throughout the day to make up for the dehydrating effects of caffeine. Sugar is another beast to contend with. The body converts sugar to stored fat and wreaks havoc on your insulin levels. If you find water difficult to drink, consider adding some fruit or sprigs of mint to your water to add flavor. Here’s the summary: Drink room temperature water or tea throughout the day when you are thirsty. Pay attention to your current habits, especially around caffeine and sugar, and begin to replace old habits that no longer serve you in your life with new, healthier habits. Hydration is about balance in the body. If you are practicing yoga asanas and exercising regularly, you will help your body flush out toxins and prevent water retention. Hydrating after yoga practice and exercise will help you to receive the full benefits of the practice. Yoga asana and exercise require adequate nutrition, including additional water post workout. Replenish your body with healthy foods and water post-movement and your body will thank you. As the days get longer and the weather warms up, we tend to spring into action, sometimes overextending ourselves. Taking time away from chaos and turning inwards to meditate and relax can help our bodies to absorb and assimilate the water and food we consume. Pay particular attention to relaxation during hot days and plan for sipping water or herbal tea all day long. Consider booking some bodywork, soak in water, get some gentle exercise by taking a swim in cooling water, and head to bed early. The result? Increased energy and ojas, the Ayurvedic term for the vital essence that supports our immune systems, vitality, libido, and strength. Deep in the Himalayas, ancient sages observed and imitated the world around them in the noble attempt to master body, breath, and mind. They noticed the curve of a bird’s lower beak, a new green leaf uncurling, and the hiss of a cobra—and emulated those shapes and sounds in a practice called sitali (the cooling breath). In this pranayama, the inhalation is moistened as it passes through the curl of the tongue (alternately described as a bird’s beak and an uncurling leaf), so that you are “drinking” water-saturated air. Sitali cools the body, adds moisture to the system, and soothes a pitta imbalance. Did you know that the Pacific Garbage Patch and the Eastern Garbage Patch have doubled in size in the past decade? We have plastic islands out in the ocean twice the size of Texas that are made up of tiny pieces of plastic that look just like fish food (opposed to a solid mass of plastic). Animals mistake the plastic for food. Plus this toxic soup disturbs marine food webs and ecosystems. Here’s one simple thing you can do to make a difference: Nix the single-use plastic water bottles and replace these with an eco-friendly reusable water bottle. Fill the bottle with tap water and sip throughout the day to stay hydrated. Want to create a healthy body and glowing skin? Look no further. Hydrating the Ayurvedic way can help you achieve your optimal wellness. By now you’ve probably heard the recommendation to drink eight glasses of water per day. But the reality of hydration is more complex. After all, each of us has a unique constitutional makeup, with diverse needs. We each have different habits that may dehydrate our bodies. Plus, there are quick and easy tips to help your body to absorb water and stay hydrated you won’t want to miss. Ayurveda, the sister science to yoga, looks at the human body as a whole system, affected by seasonality and our environment. Moreover, Ayurveda sees the physical body as both a cause and effect of a person’s energy, state of mind, emotional health, and spirit. Ayurvedic practitioners approach health and wellness topics from a holistic perspective. According to Ayurvedic science, the physical body and everything that interacts with the body is made up of a unique balance of the five great elements (water, fire, air, earth, and ether or space). Each person’s elemental constitution affects all aspects of their multidimensional being. A person’s original constitution is called Prakriti.This is the inherent elemental makeup of a person determined at conception, akin to eye color or height. A person’s Prakriti is described as having a specific balance of three doshas: Vata (Air), Pitta (Fire) and Kapha (Earth). Each of us is made up of each of the doshas, our Prakriti reflects our individual formula, as unique as our fingerprint. So how does this work? If you have a Pitta predominant dosha, for example, you have a lot of fire in your body relative to earth and air. You tend to digest and metabolize food quickly. And your body may run hot. Additionally, you may be prone to rashes or acne. With so much heat running through, a “hot” temper and a quick intellect may define aspects of your personality. If you are curious about your personal Ayurvedic constitution, check out this online quiz. Plus you can learn more about the doshas and your Prakriti in our Five Pillars’ article, Intro to Ayurveda. And, if you want a professional assessment, consider working with an Ayurvedic practitioner. So how does your constitution relate to hydration? Discovering your Ayurvedic dosha can help you to better understand your body’s tendencies. Even without turning to Ayurveda, you probably know if you experience water retention on the one hand or if you tend to become dehydrated easily on the other hand. A person who tends to retain water may need to balance their body with exercise, foods, and drinks that act as healthy diuretics, while the person who tends to be dehydrated may benefit from learning about the body’s water absorption process. The goal of discovering the doshas is creating deeper self-awareness and, in this case, discover a balanced approach to hydration and its impact on your overall health and wellbeing. When you understand your own constitution and personal tendencies, you can begin to create healthy hydration habits that benefit your body. Vata: People with predominant Vata constitutions have a tendency toward dehydration and need plenty of water and tea throughout the day. Since the qualities of Vata are cool, dry and rough, sip warm liquids and add hydrating oils to the skin each morning create balance. Suggested bevies to pacify Vata? Add some fresh ginger to your water. Sip water with chia seeds to help with absorption. To increase flavor, add sliced strawberries or raspberries. Pitta: People with predominant Pitta constitutions run hot, tending to sweat and metabolize nutrition quickly, thus losing liquids at a rapid rate. To stay in balance, consume room temperature liquids and cooling foods, especially during the hot Spring and Summer months. Also, when overheating, cool the entire body with dips into water and cold showers. Suggested bevies to pacify Pitta? Sip on cooling cucumber and watermelon water or juice. Add a few sprigs of mint and lemon to your water to enhance flavor and soothe digestion. Kapha: People with predominant Kapha constitutions tend to retain water and metabolize nutrition slowly. Qualities of Kapha are cool, smooth, soft, slow, and stable. To increase digestive fire and stay in balance, consume warm liquids and add heating spices such as ginger and a dash of cayenne to create a spice water to sip all day long. When the body retains water, yoga asana, exercise, and saunas can help water to move through your body. Suggested bevies to pacify Kapha? Enjoy some steaming decaf chai, add ginger, lemon, and a splash of cayenne to your water, and sip on warm tea throughout the day. Chai means, simply, tea, but order a cup in India and you’re likley to get a small hot glass of something sweet, milky and spicy. Masala chai, the popular variety that has made its way into lattes in the states, is warming, comforting and tastes like bliss. It’s also great for you. Ginger aids digestion and works as an anti-inflammatory; cinnamon helps keep blood sugar levels low; and all the spices work to warm the body from the inside out, another way to keep our digestive system moving and blood circulation flowing. Black tea and cow’s milk are the traditional choices but you can experiement with caffeine free teas (tulsi or rooibos would be delicious) and alternative milks. Here’s a simple recipe you can make at home. Bring water, ginger and cinammon to a boil. Lower to a simmer and add all the other ingredients, saving the sweetener (if needed) until the very end. Strain and enjoy. As with all things culinary, use your intuition and play around with proportions until you find the right blend. This is an easy recipe to scale up if you’re looking for a warm beverage to share with friends or keep simmering in a crock pot (bonus: your house will smell delicious). For hot chai first thing in the morning, prepare the night before. As the holidays ramp up we’re just moments away from the dreaded/delicious culinary decadence vortex: a busy calendar means more wine or cocktails at social and work gatherings, overindulging in brunches, lunches and dinners with family and friends. Pies, cakes, holiday cookies, gravy, roasts, and a cornucopia of veggie and grain side dishes each more incredible than the next, and all too wonderful to pass up. I might have put on five pounds just writing that paragraph! It’s the same cycle every year, and changing recipes to “low fat” versions of everything is just as ridiculous as trying to play hermit and hideout fasting until the whirlwind is over. Worse yet would be to enjoy everything in the moment, only to wallow in guilt and remorse later. Zen master Thich Nhat Hanh has some advice, in the form of a small, simple and highly practical book aptly titled HOW TO EAT. Bringing our mindfulness practice to our dining table (or office party or family gathering) is a powerful tool for not only truly enjoying the abundance of the season, but also staying balanced nutritionally and where weight is concerned. The simple tips shared in the book encourage “a joyful and sustainable relationship with all aspects of eating.” Meaning we can absolutely say yes to dessert, just so long as we pledge to actually enjoy it. This means, slowing down, tuning in, chewing and actually savoring each bite before we load the fork up for our next mouthful. Scientific research is now revealing the effect of mindful eating on obesity and binge eating disorders. The results of this practice include not just enjoying each bite more, but supporting healthy digestion and cultivating an awareness of your levels of satiation – all of which also leads to portion control and maintaining a balanced weight. Simply by using the power of your attention. You can click here for a little “taste” of the book, and also to purchase. The book also makes a sweet stocking suffer or hostess present – the type of gift that keeps on giving. Mindful eating is a before ~ during ~ & after process. A process of tuning in. Before, we can tune into the efforts of the chefs or bartenders, the efforts of the farmers and grocers and bakers who contributed their energies into the forthcoming morsel. The efforts of the soil and sun and water that all conspired to facilitate your nourishment. If we’re cooking we can make the kitchen into a meditation room, cook without rushing and cook with love. We can thoughtfully set the table, supporting enjoyment for all those who will sit at it. During we can chew and enjoy, tuning into the dance of flavors and activating our healthy digestive process at the same time. According to Thich Nhat Hanh we can let ourselves pay attention to two things: “the food that we’re eating and the friends who are sitting around us and eating with us. This is called mindfulness of food and mindfulness of community… true community building.” The good news is our powerful multi-tasking brains can listen to what’s being said around the table while also tuning into what’s happening on our plate, on our fork and in our mouth. Give it a try and I’m sure you’ll find you’re able to enjoy what you’re eating even as you listen to your tipsy cousin recount an embarrassing story for the third year in a row. We can sit down – turn off the radio or TV – and tune into our body’s signals. This will help us feel when we’ve had enough. After a meal we can once again remember gratitude, and allow the body to be nourished by the nutrients in the food and the energy of our company. We can take some time to “rest and digest” so our systems can properly absorb and assimilate what’s just happened, before rushing to our next meal or engagement and overly taxing the system. We can even think of the act of doing the dishes as a meditation, a pause for digestion and appreciation. Bringing mindfulness into the decadent deliciousness of holiday season is a way to keep your yoga practice going “off the mat” and truly continue to live a yogic lifestyle. Leaves blanket the ground creating an artful display of fall colors. Hearty root crops and winter squash are abundant at the farmer’s market. According to Ayurvedic wisdom, autumn is the vata season, known for its cool, light, dry, moving, and erratic qualities. There is incredible momentum, movement, and vitality that occurs with when the wild vata winds blow, generating transformation. And yet, we can also find ourselves forced to stop in our tracks as colds and the flu spread through schools and workplaces like wildfire during this time of year. To go forth with steady confidence and healthy bodies, favor a vata pacifying lifestyle which boosts the immune system and brings the body, mind, and spirit into balance. Check out these four tips to be well and stay calm. One: Begin to see food as medicine. Incorporate a vata pacifying diet this fall, which consists of foods that are warm, moist, smooth, and nourishing. Fresh, cooling crudites were perfect for the hot summer, but the crisp fall air invites forth a natural desire to nourish ourselves with warming butternut squash soups, more protein, and hearty stews. If you are already in the practice of eating fresh, seasonal foods and shopping at the farmer’s market, you may notice the natural shift toward heartier produce that balances the vata dosha. Freshly cooked veggies are easier for our bodies to digest and assimilate than raw produce. Minimize stress and support easy digestion by consuming lightly cooked foods that are warming and soothing. Sip ginger tea with meals to aid digestion, or make a healing, anti-inflammatory turmeric-honey tea to support the immune system. Go deeper with this recipe from 101 Cookbooks. Food is so much more than fuel and nutrients. Many of the aromatic herbs and spices have anti-inflammatory, anti-septic, anti-fungal properties. As we spice up our recipes and savor the incredible flavor of international cuisine, our meals become medicine that support the immune system, keeping seasonal colds and the flu at bay. Two: Wake up before sunrise and create a morning routine. Routine balances the vata dosha. The early morning hours before sunrise are the vata time of day, inspiring movement and energy. Practice pranayama, sun salutations, yoga postures, and meditation first thing in the morning to stimulate your body’s cleansing systems and set the tone for your day. Sip room temperature or lukewarm water with lemon first thing to stimulate and balance your digestive tract. Poses that work on the colon (the bodily seat of vata), intestines, pelvis, lumbar spine, and sacroiliac balance vata by bringing energy back down into the base of the torso. Spinal twists and inversions of all kinds soothe this dosha. Sitting and standing forward bends are choice poses, particularly for insomnia; boat, plank, staff, and plow are also powerful vata-reducers. To support grounding, work with standing poses such as mountain, triangle, warrior, and tree. Avoid back bends, such as bow, cobra, pigeon, and arch, which increase vata, or hold them briefly. If you enjoy vinyasa, do sun salutations S-L-O-W-L-Y. Let child’s pose lead you back to your innate innocence and trust. End your practice with a long Savasana (20–30 minutes); it is really okay to do NOTHING for a while. –Selection taken from Kirupalu’s Yoga and Ayurveda article. Three: Give yourself a thorough rubdown. A self-massage with warming sesame oil may provide the moisturizing nourishment your skin needs to maintain its healthy glow this fall. Plus self-massage boosts the immune system, improves circulation, and activates the parasympathetic nervous system, calming the body and mind. Follow the sesame-oil massage with a relaxing bath or shower. For more information on balancing your skin and body, check out Five Pillars’ recent article by Erika: Defeating Fall Dryness. Four: Practice alternate nostril breathing. Are you inspired to eat more plant-based meals? These three plant-based food blogs are chalk full of enchanting seasonal recipes that make ditching animal flesh tasteful and easy. Each author embraces her own creative spin, drawing from international cuisine and local flavors. For years, I thought eating healthy meant going hungry. Discovering how to seriously enjoy plant-based meals with these mind-blowing food blogs helped me to overcome my fears and live nourished. Prepare yourself for a perspective shift as you come across recipes ranging from Coconut Bacon BLT to In the Buff Smoothie Bowl to Roasted Red Pepper Mac & Cheese. These inspired chefs have taken your favorite meals and turned them into delectable, healthy plant-based treats full of protein and superfoods. Ready to dish up some inspiration? Check out our three favorite plant-based food blogs. Heidi Swanson offers beautiful inspiration for cooking with whole, natural foods. Her blog shares recipes by season, ingredients and mealtime categories. So if you find yourself leaving the farmers’ market or grocery store with three bundles of kale or a bagful of shelling peas and feel joyfully overwhelmed by all of your fresh produce, you will find an array of recipes to help you create a delicious feast that everybody will love. Her recipes are meatless and plant-based, though you will find recipes with and without dairy products. We love her artful pictures and lengthy archive of innovative recipes that will leave you feeling full and energized. She makes wellness seem easy and fun! Angela Liddon’s award-winning blog is designed help you find your inner and outer glow by indulging in mouth-watering, awe-inspiring plant-based recipes. Featuring over 500 recipes, Angela’s goal is equal parts pleasure and health. She says, “I thrive on a diet made up of whole, plant-based foods that are minimally processed and organically grown whenever possible. I make room for dessert, believing a balanced diet can still include indulgences like chocolate or sweet treats (in moderation—usually! ).” So if you are ready to discover meat-free, dairy-free and even gluten-free meals, snacks and desserts, look no further. Your journey will quickly become about all of the incredible food you can happily enjoy rather than the foods you are trying to avoid. Check out her Summer Glow Buddha Bowl and Chocolate Raspberry Dreams Breakfast Parfait to get started! Born and raised in Brooklyn, NY, Isa Chandra is the bestselling author of Isa Does It, Veganomicon & Vegan with a Vengeance. Plus she has a restaurant you should go check out called Modern Love based in Brooklyn and Omaha. She makes cooking and eating vegan food fun and delicious. Whether your looking for comfort foods, dessert, or you are seeking so fresh goodies to feel your best, Isa Chandra offers it all. Craving something sweet? Check out her Rosemary Chocolate Chip Cookies and savor. Desire a wholesome meal with some delectable flavors? Check out her Nirvana Enchilada Casserole. *Featured image & article images taken from 101cookbooks.com, ohsheglows.com & IsaChandra.com. Do you wonder what to eat before you practice yoga? After all, we are often twisting, strengthening, extending, and bending our bodies into many different shapes that have profound effects on our organs, including our stomach and digestive tract. This can lead us to avoid food before practice. However, we are often expending significant energy in class, which requires adequate nourishment. So what to do? Deciding what to eat before yoga practice is highly personal. What works for someone else might not work for you. However, there are some general nutritional principles to consider. Digestion time varies between individuals. To build maximum energy, consider eating healthy, balanced meal two to three hours before you practice yoga, which allows your body to be nourished and your stomach to be empty. If you are practicing first thing in the morning, try to allow at least 30 minutes to digest your food before you step onto your mat. When you are running short on time, consider eating a light snack that is easy to digest. Although raw veggies are delicious and healthy, the fiber takes a lot of energy to break down and assimilate. To avoid gas and bloating, you may want to steer clear of high fiber foods such as cruciferous veggies and legumes (beans, lentils, peas) before you practice. Most importantly, pay attention to your own experience so you can discover what works best for you. Which foods nourish you and how much time do you need to enjoy your practice without bloating, gas, or a stomachache? Short on time before class? Consider making our Favorite Green Smoothie, or enjoy a piece of fresh fruit. Have 10 minutes? Try our Summer Smoothie Bowl for complete nourishment! There are six macronutrients: carbohydrates, protein, fat, water, vitamins, and minerals. 1. Carbs include grains, starches, sweeteners, fruits, and veggies. They burn relatively quickly for fast energy. 2. Protein can be found in legumes, veggies, seeds, and animal products. Protein helps build and repair your muscles. 3. Fat comes from fruit, vegetables, seeds, and animal products. Fat takes the longest to digest and is essential for the functioning of your brain and heart. 4. Water is so important. After all, you are made of 60% water. Learn more about hydration: The Five Pillars of Water and Hydrate the Ayurvedic Way. 5. Vitamins are often thought of as small pills and tinctures at most grocery and drug stores, but they actually occur naturally in the food you eat. If you eat a balanced diet, your food likely contains the vitamins you need to stay healthy. The more colorful your fruits and veggies, the more vitamins they contain. 6. Minerals include calcium, phosphorus, magnesium, sodium, potassium, chloride and sulfur. Plus there are trace minerals such as iron and zinc. They are found in the foods we consume and keep the body in tip top shape. Want to make sure you are getting your minerals? Nuts, beans and lentils, and dark leafy greens are the foods containing the most minerals! Why is this important? Digestion time varies based on the macronutrients you eat. Plus your body and energy responds differently to each macronutrient. Fat takes the longest time to digest, for example, while carbohydrates provide quick energy and easier digestion. So what to do? Consider consuming a light, balanced meal of healthy carbohydrates and protein before you practice for optimal energy. Give yourself enough time to digest. Beyond comfort and ease in your belly, this way of eating will give you adequate energy to move through a yoga sequence. Plus nourishing your body before you practice will help tone and strengthen your muscles. You can follow a practice with a healthy and balanced meal to help your muscles repair and your mind to focus throughout your day. A healthy post-asana practice meal includes a balance of all of the macronutrients. As always, pay attention to your own experience. Which foods are easy to digest and give you adequate energy before you practice? And which foods make your body feel nourished after you practice? These days we can spend each meal dining from a package. However, protein shakes and energy bars are not real food. That said, they can be wonderful supplements to meals. A simple way to think about eating real food is to avoid foods that come in a package. Another simple consideration is to eat from the rainbow. See if you can eat as many colors in one meal as possible. The color in red, orange, yellow, green, blue, and purple foods is indicative of vitamins, minerals, and cancer-fighting antioxidants. Your body will lead you home, if only you slow down long enough to listen. Your body tells you when you are hungry and when you are thirsty. It may even tell you exactly what it wants to be eating. Plus your body lets you know when you are satisfied. Paying attention to the language and signals of your own body will become easier the more you practice yoga. The mind-body connection that we cultivate when we practice in yoga helps us off the mat and at the table. As we begin to tune in and listen, the signals of hunger and satisfaction coming from our bodies grow louder and clearer. Equally helpful, yoga helps to develop discernment, giving us the capacity to choose healthy foods that nourish our bodies, our minds, and our souls. Although it is important to learn the basics of nutrition, it is equally important to develop body wisdom. Returning to the knowledge you knew when you were a child will lead you home to your healthiest self as an adult. Eat when you are hungry. And stop when you are satisfied. Then pay attention to how you feel during your practice and learn from your own, direct experience. If you need convincing that chocolate, or, more specifically, cacao, which is chocolate in its purest state, is good for you, read our post on its physical and emotional benefits. And if you’re looking for a Valentine’s Day appropriate way to enjoy cacao on your own or with someone you love, here’s a recipe proven to warm hearts. Preheat the oven to 325°. Combine the coconut oil, maple syrup, cacao, and salt in a double broiler. Stir until shiny and free of clumps. Remove from the heat and let cool a little. You should be able to comfortably dip your finger into the mixture. Add the vanilla and gently beat the eggs in one at a time. Stir in the flour. Pour into an 8 x 8″ baking dish, either with parchment paper lining the bottom and sides, or coconut oil coating the dish. Bake for 20 – 25 minutes. The Theobroma Cacao tree grows pods that contain cacao beans. Chopped up, these beans become cacao nibs, a nutty, crunchy superfood you may have baked with or added to your smoothie. Raw cacao powder is the unprocessed byproduct of cold-pressed, un-roasted cocoa beans. Pressing the beans removes the fat, which we know as cacao butter. Cacao is high in antioxidants and flavanols—good-for-us phytonutrients that are particularly abundant in cacao beans. Natural cocoa powder is raw cacao that’s been roasted. Dutch-processed cocoa powder is cocoa powder that has been processed with an alkalized solution, making it less bitter, darker in color, and richer in taste. While regular cocoa powder is closer to cacao than the Dutch-processed variety, both forms of cocoa have been processed and treated, ultimately stripping them of some nutritional goodness. Like cocoa powder, unsweetened chocolate comes from ground cacao beans, but unlike cocoa powder the cocoa butter hasn’t been removed. The product that we think of as chocolate—in a heart-shaped box or pressed between a Graham Cracker and a marshmallow—is unsweetened chocolate (the kind that still has cacao butter in it) that’s been dressed up with sugar, milk fat and an emulsifier like soy lecithin. The take-away: Not everything in your baking aisle is created equal. Raw cacao outranks all of its more highly processed cousins in health benefits and has the added distinction of being more traceable as a pure product–that means it’s easier to shop for and find fairly-traded, sustainably grown, pesticide-free, straight-from-the-source, single origin cacao than it is to find a truly vetted chocolate bar. On the ORAC (Oxygen Radical Absorbance Capacity) scale, an NIH-developed chart that measures the ability of antioxidants to absorb free radicals, cacao is at the very top of the list. 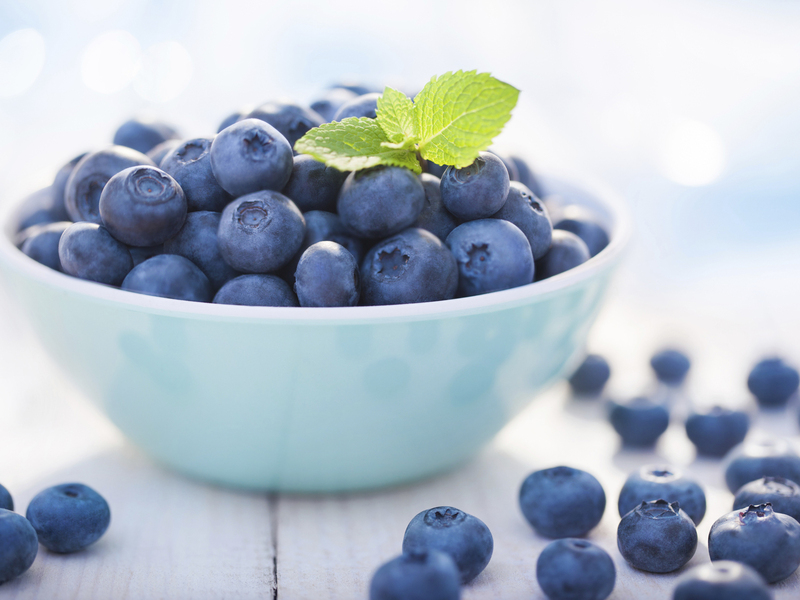 It has over four times the amount of antioxidants as goji berries, another top-performing superfood, and more than 40 times the amount found in blueberries. As a plant-based source of iron, cacao is also chart-topping. As a non-heme iron (one that doesn’t come from meat), cacao’s minerals are best absorbed when combined with a diet high in Vitamin C.
When it comes to deficiency, Westerners are sorely lacking in magnesium, a mineral that’s key in keeping hearts healthy by regulating blood pressure, heart rate and blood sugar levels. Magnesium also helps transform glucose into energy, providing clarity and focus while maintaining nerve function and keeping muscles relaxed and stress at a minimum. If you suffer from period-related mood swings or irritability, try increasing the amount of magnesium in your diet, which fluctuates throughout a woman’s menstrual cycle. There’s truth to that monthly chocolate craving. More calcium than a glass of milk. Chocolate bliss. Cacao is high in chemicals that make you happy: serotonin, dopamine, anandamide and phenylethylamine. Neurotransmitters associated with happiness, relaxation and desire, these brain stimulators may even help to ease the symptoms of depression and lighten up dark days. Photos: Cacao powder and beans; smoothie bowl by Ashley Alexander @gatherandfeast on thefeedfeed.com. Back around Halloween we explored the effects of sugar on the body. In light of our most recent holiday, New Years—a time when many of us resolve to shift our diets or eat more mindfully—we’re picking the conversation back up. While eating foods high in refined sucrose can wreak havoc with our blood sugar levels and cause foginess, anxiety and headaches, it can also lead to an overgrowth of candida. Candida is a fungus found in trace amounts in the mouth and intestines that breaks down food and absorbs nutrients. All good. But, when overproduced, candida can cause a system imbalance. It breaks down our intenstinal wall, enters our bloodstream and floods our system with toxins. This candida overgrowth can cause depression, digestive troubles, and leaky gut syndrome. Not so good. Yeast feeds off sugar, so the first step is removing all sugars from your diet: Sweets, alcohol, flour, fruit, honey, maple syrup, dates, etc. Next, limit your intake of complex carbohydrates, like pasta and grains, as much as possible—no more than one cup a day. With nothing to sustain it, the candida yeast will eventually die out. It’s a slow process that can take several months, so if you think you have candida overgrowth, see a functional medicine doctor for a blood or stool test to check your candida antibody levels and come up with a treatment plan. The next step will be to heal the gut, a course that will likely mean taking probiotics on the regular (an excellent practice for everyone), avoiding inflammatory foods (like wheat, dairy, sugar, and booze), and limiting your intake of fermented foods, which provide fodder for both good and bad bacteria. While candida overgrowth is an extreme example of what can happen to someone with a diet high in refined carbohydrates and sugar (heavy alcohol consumption, oral contraceptives, a high-stress life and a medical condition that requires taking antibiotics are other culprits), we may all experience spikes in our sugar intake and subsequent periods of bloating, fogginess, and mood swings. When that happens, look to your diet and see what can shift. Depending on who you ask, coffee is either great or terrible for you. It’s been linked to certain health benefits—like a lower chance of developing Type 2 Diabetes or Parkinson’s disease—and contains minerals like magnesium and chromium, both of which help regulate blood sugar levels. It’s also high in antioxidants. But coffee, of course, contains caffeine. Caffeine consumption is so normalized that it’s easy to forget it’s a psychoactive drug, meaning it changes how our brain functions and affects our perception, mood and state of being. A central nervous system stimulant, caffeine triggers the release of adrenaline, the body’s fight or flight hormone, which in turn increases heart rate, blood pressure, and blood flow. Caffeine also increases our dopamine levels. A neurotransmitter—a chemical that transfers nerve impulses from one nerve fiber to another—dopamine controls the reward and pleasure centers in the brain, regulates movement and emotional responses, and controls where we focus our attention. In really simple terms, increased levels of dopamine makes us feel temporarily great; less dopamine, not so much. Because it activates adrenaline and cortisol—the hormone that manages our stress levels—caffeine can be hard on our adrenals, the glands that secrete them. Unstable and spiked rates of both hormones cause blood-sugar fluctuations and create a generally volatile habitat for healing and restoration. If you suffer from inflammation, adrenal fatigue, or mood swings, eliminating or cutting back on caffeine may help alleviate those symptoms. Still need a lift? There are other options. A traditional Taoist herb prescribed in Chinese Medicine practices, rhodiola increases energy, has been shown to improve focus and actually lowers cortisol levels. A Peruvian root rich in protein and Vitamin B12, maca can increase stamina, improve sexual function, and provide an overall boost. It’s also a source of several B vitamins, as well as Vitamins C and E, along with calcium, zinc, iron, magnesium, phosphorous and amino acids. If you’ve ever had coffee in New Orleans, it may have been blended with chicory, the roasted root of a flowering plant. Chicory came into widespread use during a major coffee shortage in France; locals mixed the root with the coffee they did have to stretch their supplies farther. On its own, or blended with dandelion root (here’s a recipe for Dandelion and Chicory Chai), it serves as a convincing stand-in. A few weeks ago we posted a recipe for a traditional chai masala. Make it with a caffeine-free tea like rooibos or tulsi for a little lift without all the hormonal havoc. As herbs like maca increase in popularity, be sure you’re buying from a distributer you trust. If you’re looking for somewhere to start, a company whose ethos and products we love is Sun Potion. I came across this recipe last winter through one of my favorite Instgram follows, Andrea Bemis of Dishing Up the Dirt, a farmer and foodie in the Pacific Northwest whose feed is full of her fresh-from-the-earth produce and enticing recipes in which to use them. After making this soup once I quickly elevated it to “regular” status and enjoyed it often through early spring. What I especially like about Bemis’ cooking style is her focus on keeping it intuitive. This recipe calls for turnips and sweet potatoes, but it can easily be made with any root vegetables you favor or have on hand. White or purple potatoes, parsnips, beets and carrots would all work just as well. As with any soup and stew, this one is great to double or triple and freeze. Enjoy! Combine the 1 cup quinoa with 2 cups of water in a medium saucepan. Bring to a boil, cover the pot, reduce heat to low and cook until the quinoa has absorbed the liquid and can easily be fluffed with a fork. About 15 minutes. Meanwhile, in a large dutch oven or soup pot add the chopped veggies, grated ginger and water. Bring to a boil, reduce heat to medium and simmer until the vegetables are tender, about 10 minutes. Pour about 1/2 a cup of the hot water into a bowl and stir in the miso and tahini (this prevents clumping and helps thin out the mixture a bit). Add the thinned miso/tahini mixture to the soup. Taste the broth and adjust seasonings as needed. Add the chickpeas and spinach and stir until everything is well combined and the spinach wilts a bit. To serve place a generous scoop of the cooked quinoa into each bowl and top with the stew. Add a few healthy pinches of toasted sesame seeds, cilantro and a tiny dash of Sriracha sauce if desired. Visit Dishing up the Dirt for more recipes and images of farm life. If you’re a fan of this recipe, keep your eyes open for Bemis’ first cookbook, due March 2017.